In an irony of sorts, the former Union Home Minister, P.Chidambaram, who had recommended commutations of death sentences of several convicts, to the then President, Pratibha Patil, during his term as the Minister from 2008 to 2012, argued as the senior counsel for a death-row convict, Sonu Sardar, presently lodged in Raipur Central Jail, in the Supreme Court on November 8, to oppose the transfer of his pending petition before the Delhi high court to the Supreme Court. The Supreme Court has partly accepted his plea, and allowed the Delhi High Court to first decide the question of jurisdiction, while keeping Chhattisgarh Government's transfer petition pending. In his petition before the Delhi high court, Sardar has challenged the rejection of his mercy petition by the President, Pranab Mukherjee, on May 5, 2014. The Ministry of Home Affairs, during the term of Chidambaram's successor, Sushil Kumar Shinde, had recommended rejection of Sardar's mercy petition, on March 27, 2014. Sardar has challenged the rejection on the ground that there was an inordinate and unexplained delay of 800 days between the day when he filed the mercy plea, and its rejection by the President. 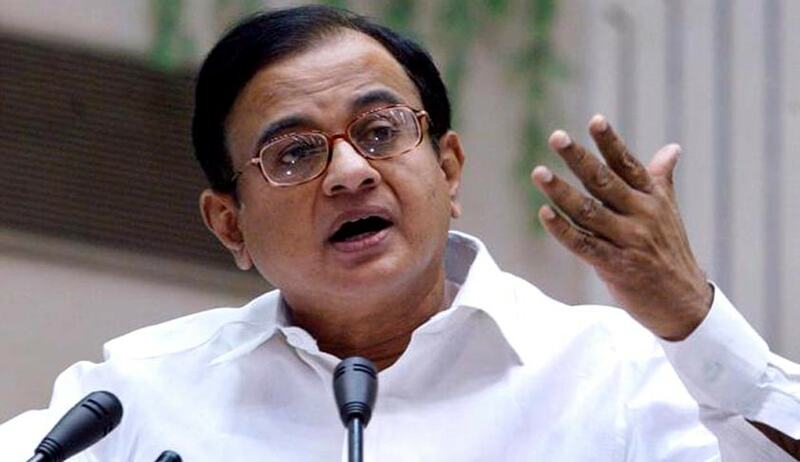 Chidambaram's appearance as the counsel for Sardar in the Supreme Court, albeit to oppose the transfer of his petition to the Supreme Court, has raised the question whether he disagreed with the recommendation of his successor in the MHA, during the UPA-II rule, to reject Sardar's mercy petition. It was likely that Chidambaram, as the Home Minister, would have recommended the commutation of Sardar's death sentence to the then President, Pratibha Patil, had Sardar submitted his mercy petition before he shifted from Home to Finance on July 31, 2012. Sardar approached the Delhi high court after a three-Judge bench of the Supreme Court last year dismissed his review petition, after hearing it in open court, without stating any reasons. The Delhi High Court initially accepted its jurisdiction because Sardar argued that the cause of action arose partly in Delhi with the dismissal of his petition by the President because the relevant authorities never bothered to submit the full records of his case to the President’s secretariat in the run-up to the rejection of his plea for clemency. The High Court, therefore, stayed his execution when his counsel sought relief on the grounds of delay in considering his mercy petition by the President, violation of procedural guidelines in his solitary confinement, and in the processing of his mercy petition by the President’s Secretariat. However, the question of jurisdiction was reopened by the counsel for Chhattisgarh, and the High court is yet to hear the parties on the issue of maintainability. Meanwhile Chhattisgarh was successful in persuading the Supreme Court to transfer Sardar's pending petition before the High Court to the Supreme Court, on the ground that the Delhi high court does not have the jurisdiction to hear the matter. As counsel for Sardar, Chidambaram was successful on November 8 in persuading the Supreme Court bench to defer the transfer of the case for now, consistent with its previous rulings that the High Court is competent to decide the question of jurisdiction itself. The Supreme court has accepted his contention, and posted the matter for further hearing on December 8, after asking the Delhi high court to decide maintainability within four weeks.